Now, with a scowl on her face, Amy gets louder. “No! I don’t want that. I want this!” Amy now begins to cry, complete with sobs. Maria cannot help but notice how Amy’s yelling and sobbing act like a magnet for everyone around her. It’s almost as if they can’t help but look at her! What must they think of her as a parent? Her own opinion of her status as a parent is not very high right now. Maria is a prime candidate for parental training. She is likely to be very receptive to learning how to handle situations like Amy’s Target Meltdown. But what could you say to improve her confidence as a new mother? We have a suggested framework that the Lord has blessed in hundreds of Christian homes over the past twenty-four years. 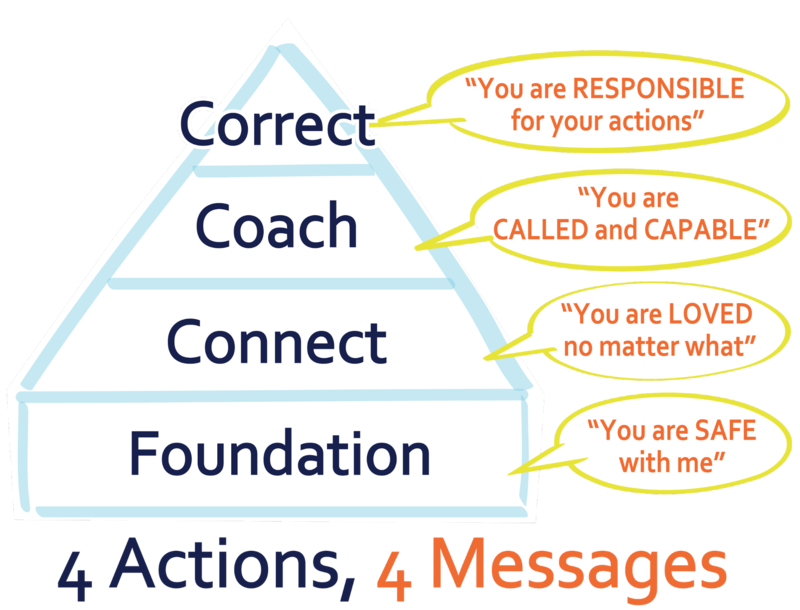 We offer this framework as a counseling tool for the parents who ask for your help. When we work with parents who come to us with parenting questions, we certainly want to understand what’s happening in their homes, at the store, or in the restaurant. But then we want to help the parents take a step back and ask more fundamental questions about their relationships with their children and with the Lord. It’s within the broader context of these relational connections that parents are likely to discover dynamics that contribute to the particular problems for which they seek our counsel. Foundationally, we have parents focus on their relationship with the Lord. We’ve found that the more parents grow in their experience of the Lord’s grace, mercy, patience, and love, the better able they are to share those qualities with their children—especially during difficult conversations with the children. When parents become more and more aware of how God works through all situations in their lives—even in times of heartache or rebellion—in ways that ultimately bless them, they are fortified with a confidence to go forward with clear direction.1 Our fallen world is not always safe for us, but our God is always trustworthy and committed to us.2 That’s what Maria should want to convey to Amy every time she disciplines her. Or consider the results of Maria giving in to Amy’s demand for the candy bar, because she is motivated by embarrassment from the looks of her fellow shoppers or by anxiety over Amy not liking her. This type of reaction could also undermine Amy’s sense of trust and security in the long run because Mommy is indecisive, and that will create more chaos than stability in their life together. Although God grants parents real authority over their children, there is always the temptation that they will use it to manipulate and intimidate (so the parents can get what they want), rather than use their authority to guide their children (toward the Lord’s blessings). To counter this temptation, parents should demonstrate empathy. This doesn’t mean giving in to children’s unreasonable or unwise expectations. Rather, we coach parents to ask themselves, “What is it like to be my child right now? Is she really frustrated, or really sad? For what reason?” They should verbalize that emotion for the child. Parents might need to be reminded that it’s a lot easier to say no to a child who feels understood than to a child who feels opposed. Parents can make a reasonable assumption about showing love to their children that can backfire on them during times of discipline. They can assume that children (especially younger children) easily translate corrections, such as loss of privileges, as evidence of parents’ concern for their welfare. Based on our conversations with children, however, we know that children can misinterpret parents’ discipline if parents are not careful about their tone of voice, facial expressions, and word choices during discipline. In the first response, Jordan’s mother focuses on immediate compliance and uses a position of power to enforce what she wants. It could be an “invitation” for Jordan to react with a similar show of power, because his concerns are not acknowledged. The second approach is not so adversarial, and it affirms Jordan’s God-given creativity. His mother takes an interest in what interests him, even as she continues to move toward the goal of leaving the house. There is no guarantee, of course, that Jordan would comply with this gentler approach, but it does demonstrate a commitment to acknowledging his talent while still giving him options for renewed obedience. This approach also employs a strategy that often diffuses power struggles between parents and children: calm down, briefly connect with the child, and then offer two reasonable (and equally acceptable) choices. Correcting children’s misbehavior is never only a matter of stopping the offending actions or attitudes. It also means teaching them how to be reconciled to people they’ve offended and how to restore any losses they’ve created for others. These positive goals reinforce that the children are responsible for their actions. And they promote God-honoring change in children’s hearts (shaping their motives and desires). Taking this approach to correction curbs a parent’s temptation to rattle off quick consequences designed primarily to stop a behavior. Granted, quick-fix reactions might get short-term compliance, but without addressing what goes on in children’s hearts, they are left in a very precarious position before the Lord. We remind parents that consequences have consequences; therefore, they must give careful thought before handing them out to their children. Help the child identify the natural impact of his or her behavior. Asking questions to guide the child’s thinking is often productive. It might prompt the child to suggest ways to repair or restore what was done. Guide the child in figuring out “make-it-right responses” to what was done. Identify—and redeem—“gifts gone awry.” This refers to recognizing how their sinfulness has twisted a strength or talent, and then using that redeemed strength or talent to rectify the situation. Allow a do-over with a right response. Habits grow from practice, so taking the time to hone new skills is incredibly valuable. Let there be a loss of privileges related to the misbehavior (“natural consequences”). For further reading on parenting challenges and equipping your leaders to help kids and parents, see Equipping Your Leaders to Give Good Parenting Advice by Dr. Jeff Forrey, Helping Parents Avoid 3 Understandable Parenting Mistakes by Kathy Leonard, and Helping Parents with Rebellious Children by Dr. Jim Newheiser. For the single parents in your church, Church Initiative offers a 13-week, Christ-centered program called Single & Parenting, which is designed to be lay led. This program offers parenting tips, encouragement, and biblical wisdom for single parents in your church and community. Since 1993, Jim and Lynne Jackson have worked in the trenches with parents of all kinds—single parents, adoptive parents, parents of teens, parents of kids with intense behavior challenges, parents in blended families, parents of wealth and parents in poverty, and any other kind of parent you can think of. 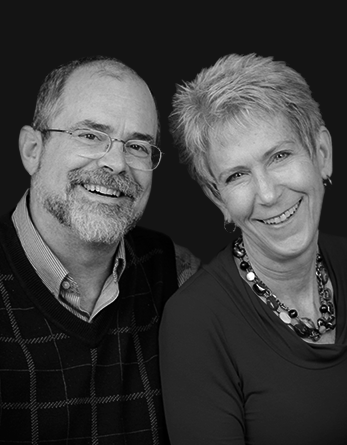 Jim and Lynne began Connected Families in 2002, and with their growing team, they are committed to offering content that will challenge, encourage, and equip parents and youth workers to be thoughtful and confident care providers and coaches for children and youth. See their website, https://connectedfamilies.org. Recall the experiences of Moses, Naomi, David, Job, Jonah, and Peter. Their struggles with sin or suffering were used by the Lord to teach them life-altering and eternally significant lessons. Ephesians 6:4 says we should carry out our parenting as representatives of the Lord. “But God demonstrates his own love for us in this: While we were still sinners, Christ died for us” (Rom. 5:8). “Adapted from Jim Jackson and Lynne Jackson, Discipline That Connects with Your Child’s Heart (Minneapolis: Bethany House, 2016), 122–124. Adapted from Jackson and Jackson, Discipline That Connects, 128.(Rom. 5:8).